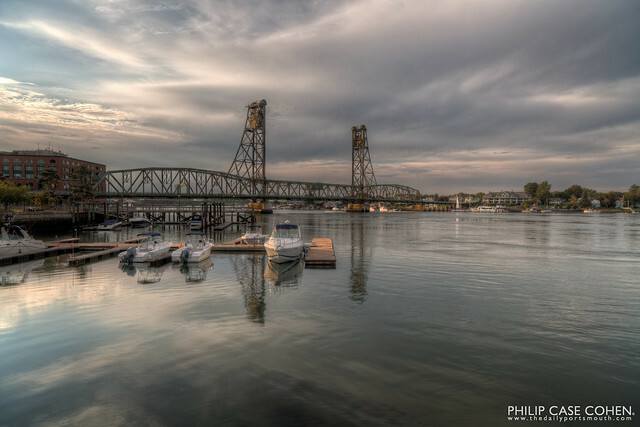 The Memorial Bridge stands tall above the Piscataqua and some boating activity at the docks at Prescott Park. The late day sunlight is crystal clear with some interesting clouds in the sky. In a couple short months (or maybe even weeks), the boats are likely to disappear and the scene will be a bit more desolate. It’s time to enjoy every last bit of warmth and time we get to spend outside as the days shorten.